Powder-coated steel. 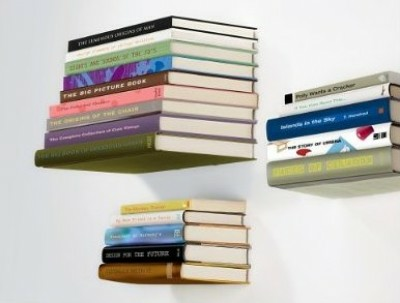 Floating book shelf becomes invisible behind stack of books. 20 lb. maximum hold. Mounting hardware included. 5.5 x 7 x 6.5". Design by Miron Lior.